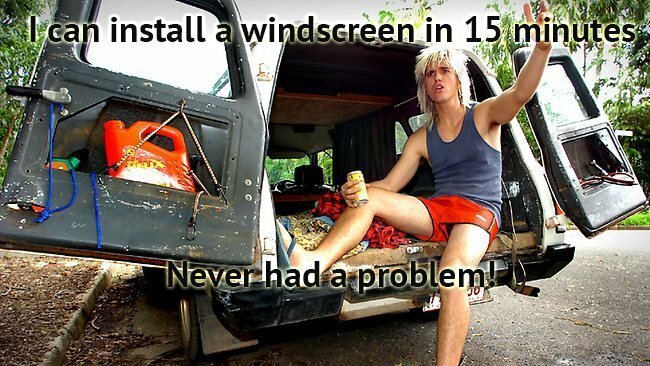 This is not a new debate, however, I believe the message is still not sinking in for the majority of windscreen technicians. Now, it’s important to point out that every auto glass technician has a style that he or she prefers. However, there are some fundamental procedures of a windscreen installation that simply cannot be skipped or short cut. As always my Blogs are open for comments and free speech for those who are brave enough and in this case it would take a brave technician to disagree in public regarding this topic. That said, I have come across many technicians who challenge me on this point when in person. Surprisingly many of these techs have been working in the windscreen industry as long as 20+ years, you would think they would know better. So don’t be shy, if you believe im incorrect your can post away. The main reasons I get for performing a windscreen short cut is that it saves time. Then there is the augment over damaging clips when removing cowl panels and that would add to costs. Both honest explanations, but not excuses in my opinion. These two examples are use to serve the auto glass technician, not the vehicle owner? Also, how do you think the owner would react if they knew short cuts were taking place? What bothers me even more than this, is the fact that many of these technicians work for windscreen networks that contract direct to insurance groups on their recommended repairer lists. This raises an interesting debate considering the rise of the National Auto Glass Association and their push for quality, or should I say their push for the illusion of quality. How can we even begin to take the AGA seriously when any one of us could prove that insurance network members and AGA members are taking short cuts that could damage vehicles and worse put lives at risk. We all understand why this is so and it comes down to money. Technicians being paid $90 for two visits to a collision repairer shop to remove and then refit and windscreen. So would a price increase solve this problem? Personally, im not sure, however, I believe in many cases it would. That said there are always going to be technicians who are long in the tooth and care not for change. You have probably got more chance of Craig Thomson being fair dinkum with his credit card expenses.